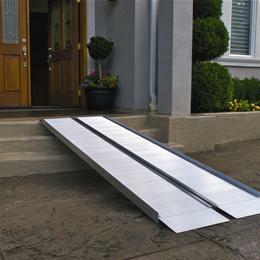 Introducing the new SUITCASE Signature Series ramp. While similar in appearance and function to the faithful SUITCASE Classic Series ramp, the Signature series version features several innovative design enhancements from no pinch, non protruding full length live hinge and durable ergonomically designed handles to the enhanced extruded tread for superior traction, this ramp was redesigned from the ground up to be simply the best in the industry. Top Lip Extension compatible. © 2019 Craig's Drug Store. All rights reserved.